Will My Assets Be Affected? Can UK Debts Be Transferred Overseas? Will My Creditors Find Me? Bankruptcy from Abroad was originally formed in 2008 and applied to the Office of Fair Trading for a Consumer Credit Licence to provide debt advice, credit repair facilities and commercial debt counselling services. The Company and operators were then subjected to a very stringent series of checks and tests covering insolvency knowledge, experience, honesty, integrity and the general system of operations and adherence to consumer protection regulations. After twelve months of OFT checks and onsite visits by local Trading Standards, our Company was approved to supply debt advice and counselling services by the Office of Fair Trading in 2009 under Consumer Credit Licence 620633. Since 2009 we have supplied a high quality bankruptcy service and handled hundreds of personal bankruptcy cases for clients located all over the World. 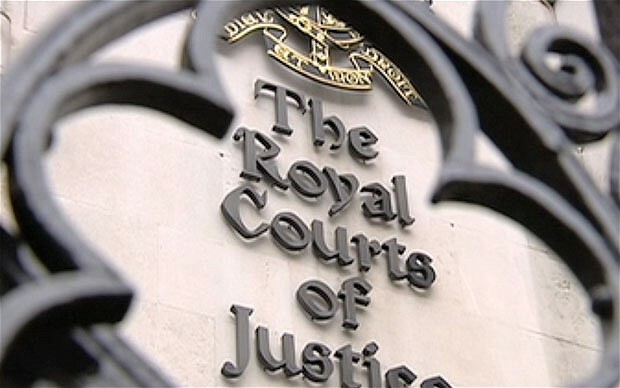 Legally acting under Power of Attorney we have successfully presented cases in the Royal Courts of Justice in London (also known at the High Court of London) and also the Rolls Building section of the High Court. In all of these cases we have supplied client assistance and support after the bankruptcy has been approved which gives us unrivaled experience and knowledge when dealing with this specialist type of bankruptcy. Our clients have ranged from basic bankruptcy cases to highly complex situations involving millions of pounds of debts and overseas assets. Our Company ethos is to provide a comprehensive and high quality service providing the client with information and guidance throughout this process. Are we authorised to advise and handle matters in relation to personal Bankruptcy in the UK? Bankruptcy from Abroad were first authorised to provide debt counselling and advice in 2009 by the Office of Fair Trading. Since 2014 this role has been taken over and is overseen by the Financial Conduct Authority. After a very stringent application process we are one of a few debt counselling companies that has been fully approved in 2016 by the Financial Conduct Authority. Who currently authorises us to be able to do this and who checks that we are a legitimate company? Any company in the UK that advises on matters in relation to debt MUST be authorised to do so. This authorisation is designed to protect the consumer from unscrupulous companies or individuals as authorised companies have to prove that they are honest, treat customers fairly, adhere to consumer protection laws and above all have the knowledge and integrity to advise people fairly about their options. Authorisation and trading in relation to debt counselling and credit related activities are currently overseen by the Financial Conduct Authority. We also work in line with the Financial Ombudsman Scheme which gives consumers a high level of protection in relation to fees paid to a commercial company. How can someone tell if a company or person holds such a license? A company or individual should show their Credit License Number or FCA Authorisation Number (this may also be shown as FCA Interim Permission Number) on their website and company documentation. Our Consumer Credit License Number was originally 620633 and this has now been replaced by our FCA Firm number as shown on our company paperwork. You are also able to check if a company or person holds this type of license by clicking on the following link and checking the FCA Register. If you input the CCL/FCA number the company should show as authorised or operating under Interim Permission. If the Company shows as lapsed they are not licensed to trade and if they are in operation they are trading illegally. What should I do if the company or individual advising me does not hold a Consumer Credit License or FCA permission to trade? The simple answer is DO NOT USE them. They are unlicensed and should not be advising people in any aspect of debt counselling or credit related activity. These companies and individuals should be reported to the Financial Conduct Authority immediately by using the following link. Is my Data held securely and in complete confidence? Also is this information ever sold or passed on to any third party company? We operate under a data protection licence that is issued by the Information Commissioner Office (ICO). We also adhere to data protection laws when dealing with confidential information. We never disclose or sell data on to any third party company. Located in The Strand in Central London, the High Court (also known as the Royal Courts of Justice) used to be the only location that your overseas bankruptcy could be submitted to. Starting in 2009 we presented cases in the Thomas More section of the Royal Courts of Justice (RCJ) under Power of Attorney. In November 2011 the handling of these specialist cases was moved to the Rolls Building section of the High Court which is located in Fetter Lane, London. Since the 6th of April 2016 the bankruptcy application process has moved away from the old system where a person would go to Court in person. This has taken pressure off of the overburdened UK Court system and operates in a similar way to the new Debt Relief Order. It was also thought that by moving the process to an online system this would be more efficient and it was considered that people who may have been concerned about “going to court” would feel more comfortable in filing bankruptcy using an online system. Our expert representation in the High Court of London has dealt with hundreds of clients from all over the World and allowed them to file bankruptcy without returning to the UK.